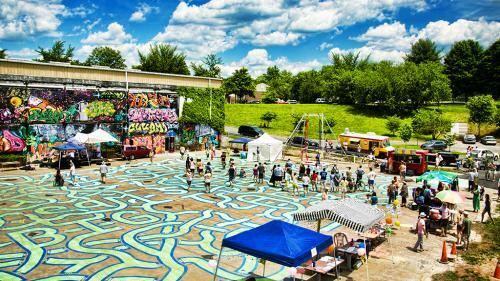 5 Must-See Arts Venues in Charlottesville! The local arts community plays a huge role in making the Charlottesville area the vibrant hub of culture and entertainment that it is! For a relatively small city, it features a plethora of artistic attractions for the art enthusiast in your life to enjoy. Here, we highlight five local arts venues that are a must-see on any visit to the Charlottesville area! It is no surprise that the Fralin Art Museum has become one of the most popular arts attractions in Charlottesville! Its renowned monthly event, Final Friday, offers a special experience to chat with other members from the community who value the arts and enjoy the significant artistic presence that is special to the Charlottesville area. The volunteers are extremely kind and helpful and the chatter among the guests fills the grand room, seemingly to the beat of the band playing in the corner. Attend the last Final Friday event of the year on Friday, October 28th! Due to the busy upcoming holiday season, this delightful event will be taking a short intermission until starting back up again in January 2017. So come have a little Friday fun and make this event the perfect start to your fun-filled Halloween weekend! 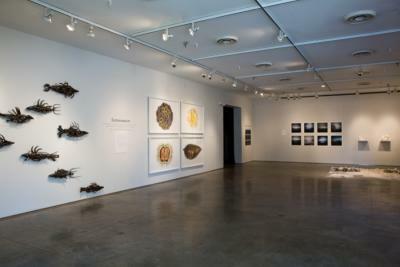 The Fralin Arts Museum opens its doors at 5:30 p.m., offering free admission to all students, museum members, and a fee of only $3 dollars for non-member guests. Enjoy the wonderful displays of art, listen to live music, eat some of the complimentary catered food, and spend time with friends. Additionally, Spotlight Talks will be given at 6:15 and 6:45 p.m.
And if you’re wondering what the sculpture in front of the Fralin Arts Museum is, look closely at the space in the middle - it’s a polar bear! The next event is the annual “Digital Media Gallery,“ running from October 28 - November 17, which is hosted every year in partnership with the Virginia Film Festival (another great event that is not to be missed!). The Second Street Gallery exhibit will showcase the works of University of Virginia intermediate and advanced cinematography students and local youth filmmakers. Don’t miss the opening reception on Friday, November 4th, which will undoubtedly be a great opportunity to mingle with artists and filmmakers in an informal and casual setting. The event will include catering by Harvest Moon and Bold Rock Hard Cider, so why not join? With 42 years of connecting artists and audiences in Charlottesville, Second Street Gallery is a rich experience and a must-see arts venue! If you’re looking for a more intimate and unique setting, then The Garage is for you. As its name implies, the venue is quite literally a garage on 1st Street directly across from Lee Park. The Garage can have many identities, including: an art space, concert venue, amateur film theater, a potluck dining hall and much more. In broad daylight when the garage door is down, many passersby would not even realize they are strolling by one of the most distinctive studio spaces in Charlottesville! The Garage is one of Charlottesville’s special and rare treasures and one you don’t want to miss! For more information on upcoming events, click here! This arts venue exudes a historic ambiance as soon as you walk through the doors. 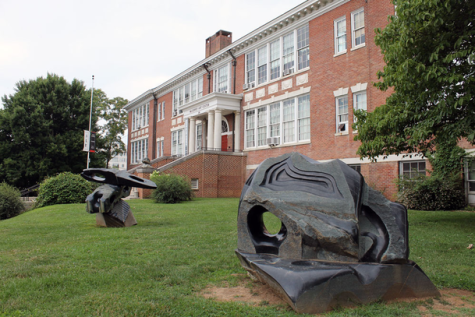 While the McGuffey Art Center was only established in 1975, it paired up with the City of Charlottesville to renovate the former McGuffey School that was built in 1919. Much of the original architecture and many features of the school still exist, making a visit to the McGuffey Art Center a unique and authentic experience. The school rooms have been transformed into individual studios for artists to rent. Visitors are warmly welcomed into the personal and exclusive world of the artists, who happily let them view their works and oftentimes even provide complimentary food and drinks. Every feature in the McGuffey Arts Center, from the historically-registered building, to the unique artistic pieces, to the dried paint splattered on the floors distinguishes this venue from many others in the Charlottesville area. The grandeur of the McGuffey Arts Studio is not exaggerated as it holds three galleries, offering the largest display in Charlottesville! There are currently forty-five artists renting studio space at the McGuffey Art Center and more than eighty-five associate members contributing artistic pieces to the galleries. Classes are also taught by artist members, so if you’re looking to expand your artistic skills, why not learn from some of the best in Charlottesville? The October display will be running from Tuesday, October 4th to Sunday October 30th, so catch it while it’s still here! Also, one more event that you will not want to miss is the First Friday reception, held monthly from 5:30-7:30 p.m. spotlighting the artists of its current exhibits. These receptions draw the artistic community together for an evening of music, complimentary food and drink, and lively conversation with fellow art enthusiasts. Don’t forget to visit the gift shop on your way out to get some good memorabilia to complete a wonderful day exploring the arts in Charlottesville! Last, but certainly not least, is the IX Art Park! Located a short stroll from the historic pedestrian Downtown Mall, the IX Art Park is one of the most creative and distinctive art venues in the entire Charlottesville area! 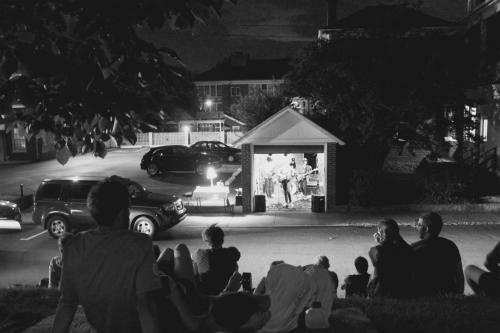 Self-described as a public, non-commercial, interactive space for spontaneous dreaming - for residents, visitors, families and solo acts, there&apos;s certainly something for everyone at this special venue. Full of sculptures, murals and other interesting works of art, visitors are encouraged to wander day or night and let their imaginations run wild, all while dreaming about what the future can be! It&apos;s a true feast for the eyes, ears, mind, heart and soul! Admission to this park is free and it is open 7 days a week from dawn until dusk - and open even later on nights featuring special events. Click here for more information about the IX Art Park and don&apos;t forget to add this to your list of arts venues to check out when planning your next trip to the Charlottesville area! As you can see, there is certainly no shortage of arts venues and attractions in the Charlottesville region! This list only scratches the surface of the many, many possibilities to visit on your next trip. For a more comprehensive list of ALL of the arts venues in our region, click here to visit our website and find out more!